Alcohol and Drug Addiction Information Resource for Winnipeg, MB. 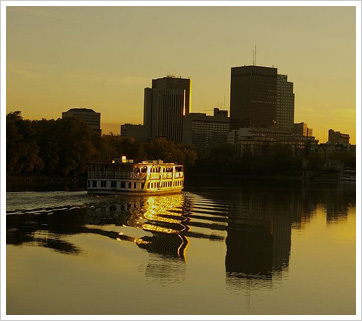 Winnipeg, the capital of Manitoba, sitting on the eastern edge of the Canadian Prairies, is located at a point commonly known as “The Forks”—where the Red and Assiniboine rivers meet. Winnipeg, with a population of slightly over 700,000, contains 60 percent of the province’s total population. 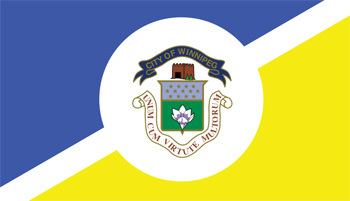 The City of Winnipeg is the seventh largest municipality in the country, and the eighth largest Census Metropolitan Area. During the last two centuries, Winnipeg was one of the fastest growing cities in North America, and has established itself as one of the transportation and manufacturing centers. Known for its urban forest and parks, Winnipeg is the location of the famous Portage and Main intersection—reportedly the coldest, windiest intersection in Canada. Downtown Winnipeg is the financial heart of the city, centered on the Portage and Main intersection with all roads radiating out. Winnipeg is a regional economic center and the third fastest growing economy of all major Canadian cities. In 2004, Winnipeg had the fourth highest crime rate in Canada, with only Regina, Saskatoon, and Abbotsford with higher rates. The city’s crime rate was 50 percent higher than Calgary and more than twice the rate of Toronto. The Canadian Community Epidemiology Network of Drug Use (CCENDU) is a nationwide substance abuse surveillance system spearheaded by the Canadian Center on Substance Abuse (CCSA). As a collaborative project, it brings together federal, provincial and community agencies to study and report on drug use, the health and legal consequences thereof, addiction treatment, and law enforcement. CCENDU reports have shown consistent and continued trends in the use and abuse of both alcohol and illicit drugs in Winnipeg. There is increased availability of drugs, as evident by the large police seizures and the expansion of drug addiction treatment programs in response to increased demand. Crack-cocaine has become one of the most popular drugs in Winnipeg. According to local police, crack-cocaine use is reaching epidemic proportions, and widely available on the streets. Cocaine and other psychoactive drugs are implicated in the largest number of hospitalizations. Overall, according to the CCENDU, addiction treatment programs are reporting an increase in the number of clients using drugs. Marijuana continues to be the most prevalent drug in the province, with a high rate of self-reported use. Heroin is still considered not a major drug in the province, although it is present on Winnipeg streets. Cocaine, steroids, hallucinogens, and stimulants, on the other hand, are more commonly reported. Meth continues to be increasingly problematic, especially in youth populations. Alcohol continues to be the most prevalent substance abuse problem in Manitoba, and remains equally high among both youth and adult populations. At Sobriety Home, we keep up-to-date on all the latest alcohol use and drug addiction research so that we can offer the best addiction treatment programs possible. New research allows us a better understanding of alcohol and drug addiction, resulting in better counseling, treatment, aftercare, and, ultimately, a more successful recovery process for you.